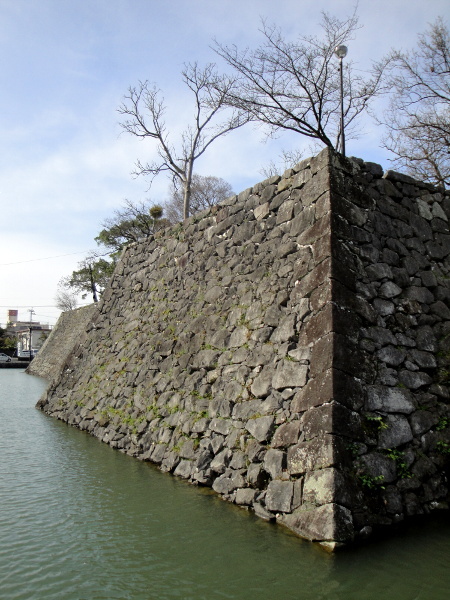 Yatsushiro Castle is classified as a flatland castle (its layout: Rinkakushiki), and is located in Kumamoto Prefecture. 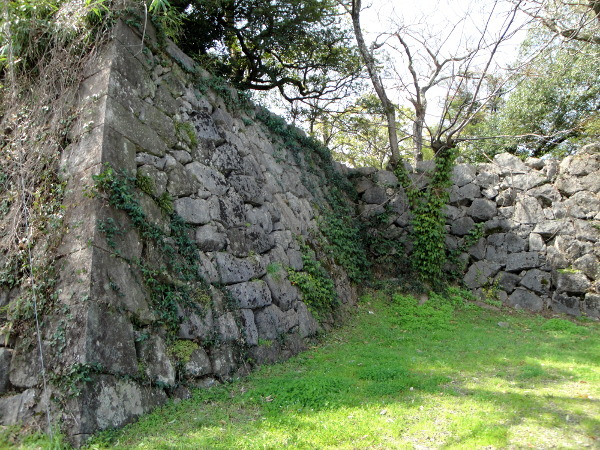 During the pre-modern age, it found itself within the borders of Higo Province. 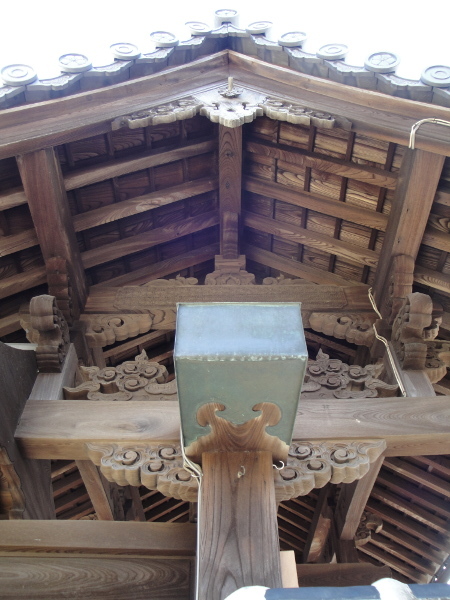 It is associated with the Katō, Hosokawa, Matsui clans. 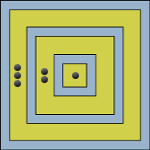 Dates in use: 1619 - 1870. 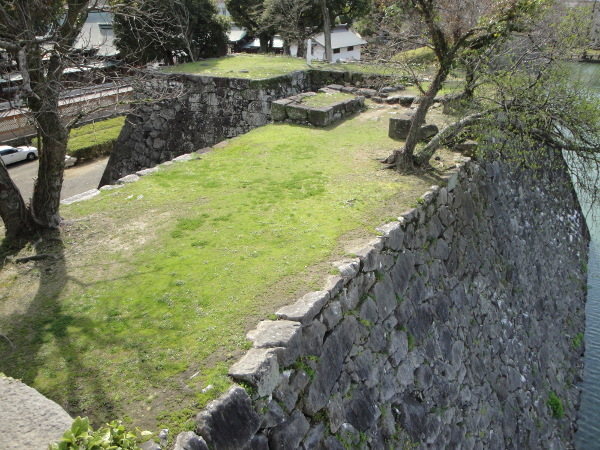 Yatsushiro castle came into being following the massive earthquake that leveled the town's former castle, Mugishima-jō. 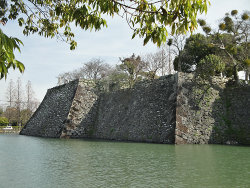 Permission was sought & quickly given by the Shōgunate despite their own new laws which severely restricted castle construction & reconstruction. Completed just three years later, it must have been quite a sight with the large four-layered main tower sitting atop gleaming white, limestone foundations. 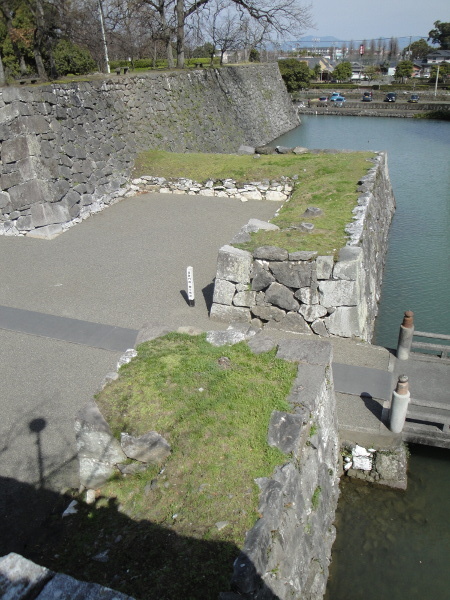 Time may have taken the shine off the walls & seen the outer fortifications reduced to almost nothing but the stonework of the innermost enclosure, the Hon-maru, has been preserved & is well maintained. 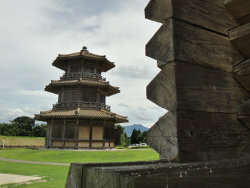 This place is well worth checking out, Kumamoto's castles do not disappoint. 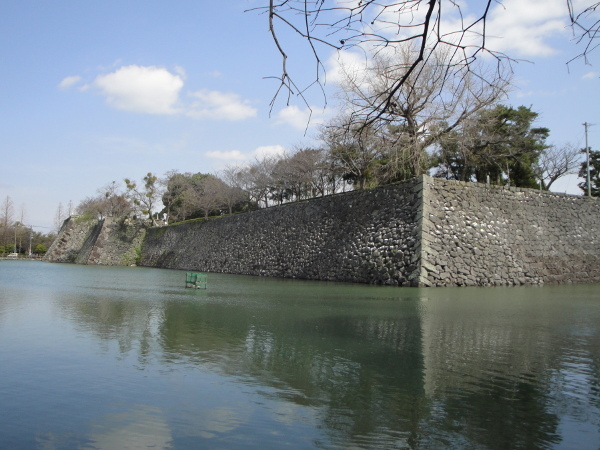 Within walking distance to the Northwest of the castle is the Shōhin-ken. 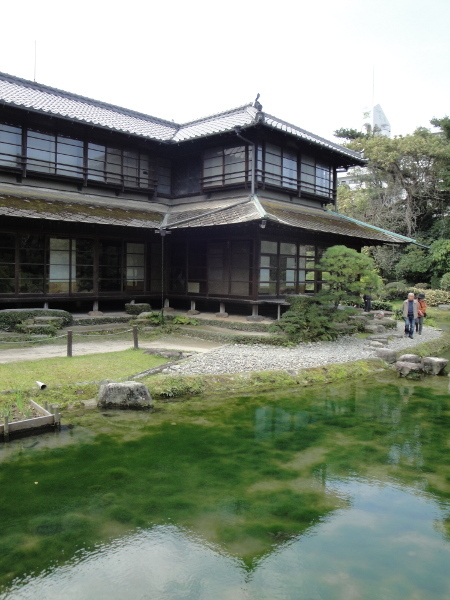 Amazingly, this two-story teahouse dates from 1688. 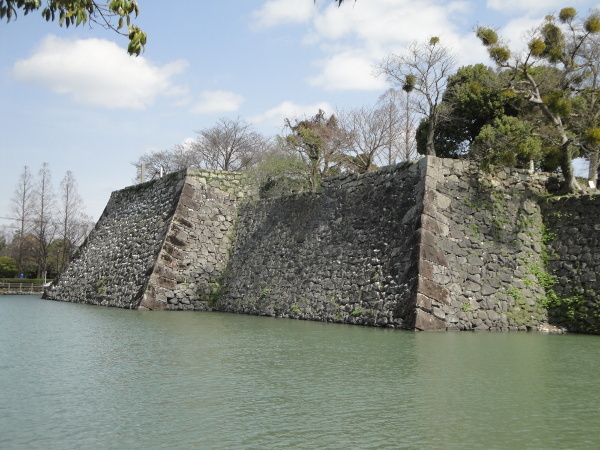 It was actually built by Matsui Naoyuki for his mother. 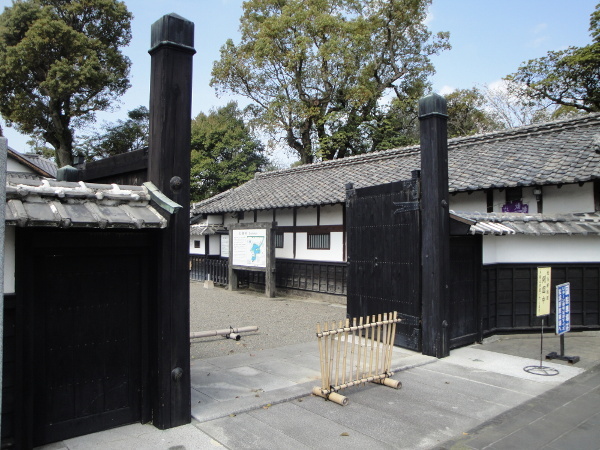 Within the grounds are several old buildings, one of which contains historical items relating to the former owners. 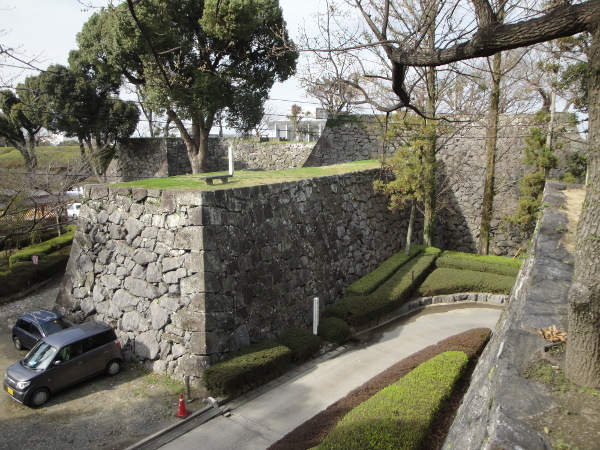 Additional old castle gates have been relocated to the South & to the West of the castle. 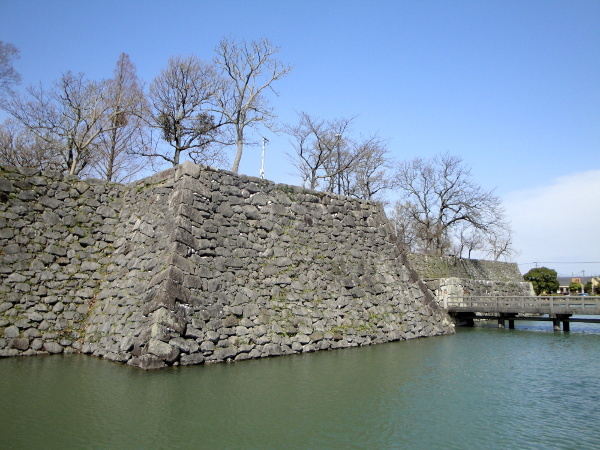 1619 Construction of the castle commenced. 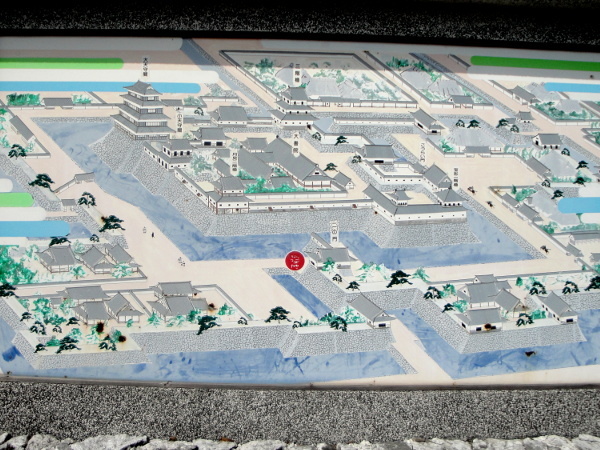 1632 The Katō clan were given their marching orders & were replaced by the Hosokawa clan. 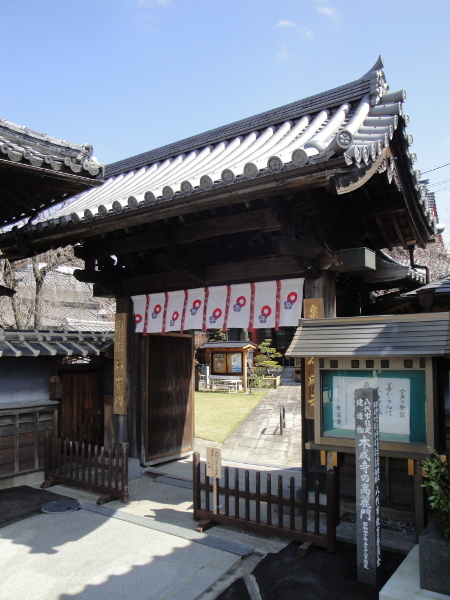 1645 With the death of Hosokawa Tadaoki, the Matsui clan were transferred here. 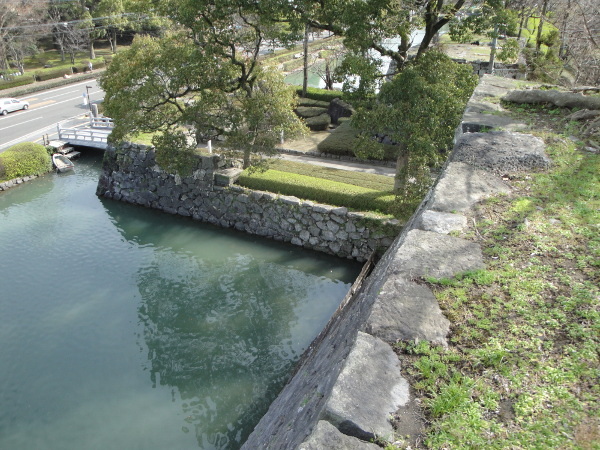 The Hosokawa continued to use Kumamoto Castle. 1672 Due to a lightning strike, the main tower along with other turrets burnt to the ground. 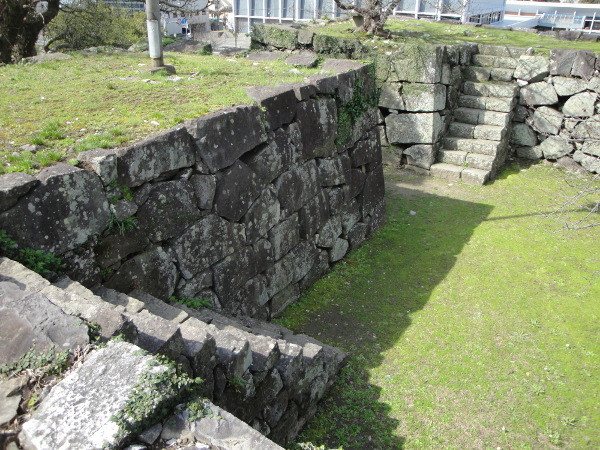 1797 Yet another lightning strike, this time the Shōin, a large administrative building within the main enclosure, was destroyed. It was later rebuilt. 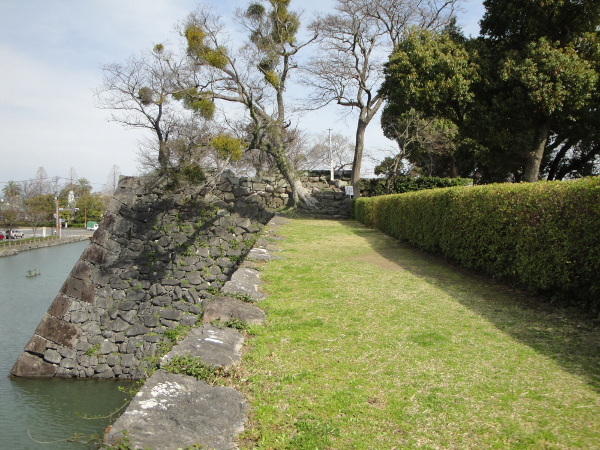 1870 The castle was decommissioned.